The Best Typography blogs from thousands of top Typography blogs in our index using search and social metrics. Data will be refreshed once a week. 2.8 Fonts In Use – Type at work in the real world. 2.19 Type for you | A blog on typography. Typography newsletter is a comprehensive summary of the day's most important blog posts and news articles from the best Typography websites on the web, and delivered to your email inbox each morning. To subscribe, simply provide us with your email address. Nottingham, England About Blog HypeForType is a growing hotbed of top typographic talent. Bringing you 1000s of iconic, hand-crafted typefaces to try, buy and download. Facebook fans 125,803. Twitter followers 56,688. About Blog FreeTypography.com is a blog about the best free fonts, typefaces and typography for free download. Facebook fans 362,235. Twitter followers 481. San Francisco, CA About Blog Typography and type design. Facebook fans 1,133,715. Twitter followers 498,300. Ho Chi Minh City, Vietnam About Blog The world’s most popular fonts & typography blog. Facebook fans 6,287. Twitter followers 516,484. Woburn, MA USA About Blog A Space For Typographic Discussion. Our blog features articles and tips from our type experts as well as the creative professionals with whom we collaborate. Facebook fans 70,159. Twitter followers 114,316. Oakland & Berlin About Blog Typographica is a review of typefaces and type books, with occasional commentary on fonts and typographic design. Facebook fans 13,591. Twitter followers 106,607. About Blog Not just another design inspiration showcase, Typewolf helps designers choose the perfect font for their next web project. Typewolf shows fonts in use on actual websites, as well as background info about the font and personal recommendations for similar fonts. Facebook fans 9,300. Twitter followers 11,081. 8. Fonts In Use – Type at work in the real world. SF, NY, MV, DE About Blog Fonts In Use is an independent public archive of typography indexed by typeface, format, and industry. Facebook fans 14,620. Twitter followers 26,668. Bad Homburg, Germany About Blog Linotype is the source for original typeface design and font software. Facebook fans 13,487. Twitter followers 18,728. About Blog Our body of work includes some of the world’s most famous designs, typefaces marked by both high performance and high style. We work with brand leaders in every sector, developing original typefaces for print, web, and mobile environments, and licensing fonts from our library of more than one thousand designs. Facebook fans n/a. Twitter followers 323,821. Worldwide About Blog Inspiration Grid is a showcase celebrating creative talent from around the world. Your daily fix of design, art, illustration, typography, photography and more. Facebook fans 22,567. Twitter followers 6,596.
International About Blog Online magazine showcasing, discussing and reviewing the world of mainstream and experimental typography, iconography and visual language, providing inspiration to the international graphic design community. Facebook fans 10,314. Twitter followers 4,891. About Blog TYPEROOM is an online platform for the Typophile Generation. Showcasing outstanding typographic works, featuring inspiring stories about the letterforms that matter, premiering breaking news and interviewing type designers from around the globe, TYPEROOM is a curated portfolio for the discerning typophile. Facebook fans 12,677. Twitter followers 2,025. About Blog Typeverything.com, a guide to great typography & design. Proudly brought to you by Andrei Robu. Facebook fans 22,512. Twitter followers 8,681. SF, NJ, & BKLYN About Blog A typographic/lettering sketchbook, archive, dialogue created by Aaron Carambula, Erik Marinović, Jason Wong and Dennis Payongayong. Facebook fans 9,216. Twitter followers 34,305. Stuttgart About Blog Typostrate - the typography and design blog and site with graphic inspirations, lettering, free fonts, videos, quotes, calligraphy, books and more. Visit us and get inspired! Facebook fans 12,405. Twitter followers 575. Bristol, UK About Blog Type Worship is the official blog of 8 Faces magazine. Featuring inspirational typography, beautiful lettering, reviews, interviews with leading designers, and exclusive content from the coveted bi-annual publication. Curated by Jamie Clarke with Elliot Jay Stocks. Facebook fans 2,614. Twitter followers 6,839. About Blog Blog about typography, fonts, alphabets, and good graphic design in general. Facebook fans 20,909. Twitter followers 3,379. 19. Type for you | A blog on typography. About Blog TypeForYou is a blog on typography. To spread the good typography. Facebook fans 6,694. Twitter followers 109. Basel (CH) About Blog A blog dedicated to beautiful typography : illustrations, books, links etc. Facebook fans n/a. Twitter followers 1,915. Paris, Prague About Blog 365typo is a stream of news related to typography, graphic design and visual communication curated by editors of the former TYPO magazine. Facebook fans 115,145. Twitter followers 2,925. Brisbane, Australia About Blog Typographic Musings for Curious Creatives. The text is conversational, experimental, self-generated, personal expressions about design theory, practice and process. Facebook fans n/a. Twitter followers 2,382. Mumbai, India About Blog YSLTT archives of some of Rob Keller's typographic art, typeface design, and photography of unique type-related finds from all over the world. Facebook fans n/a. Twitter followers 3,419. About Blog Brings news on research into the history of text presentation. Recent posts deal with my discovery of the world's oldest data visualization, the 5th-century Great Stemma. This blog also offers a way to comment on the www.piggin.net website and communicate with the author, Jean-Baptiste Piggin. 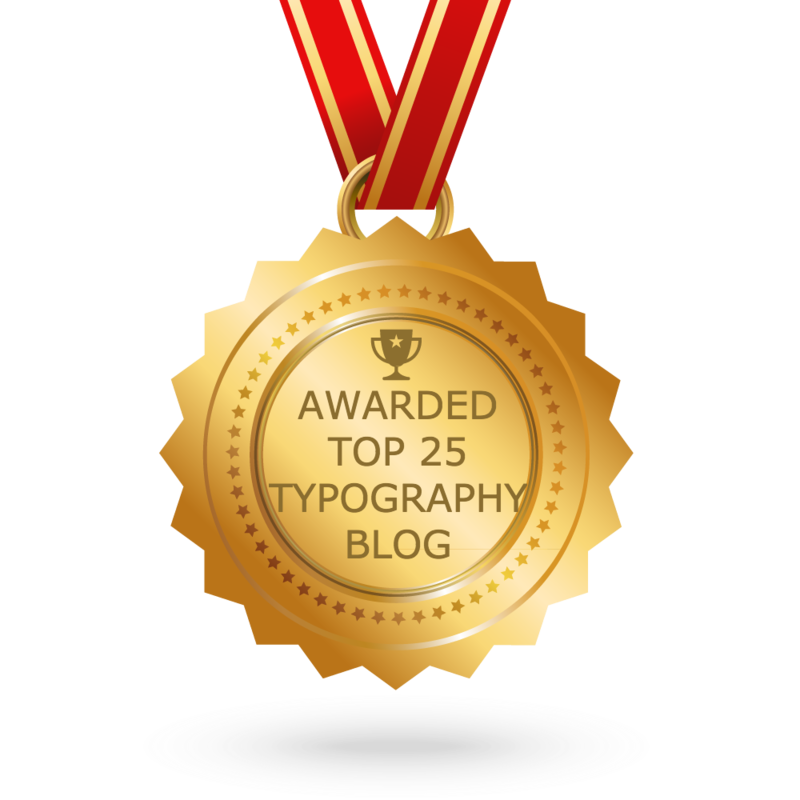 CONGRATULATIONS to every blogger that has made this Top Typography blogs list! This is the most comprehensive list of best Typography blogs on the internet and I’m honoured to have you as part of this! I personally give you a high-five and want to thank you for your contribution to this world.